Visit https://io.adafruit.com and sign up. Now create a Feed and dashboard. You can give any name for feed and dashboard. Click on dashboard and create a new block by clink on plus sign button for configuration. Select a toggle and select feed what you create. Now click on next step. Here you can give any name for block, fill ON in the button on text and fill OFF in the button off text. Note your AIO key, username and feed name for Led Program. Flash this code in ESP8266 help of Arduino IDE. Download IFTTT android app and create two applets. First applet for ON LED and second applet for OFF LED. Open IFTTT app and select google voice assistant and adafruit for creating applet. Remember – write ON in the DATA TO SAVE field in adafruit section. 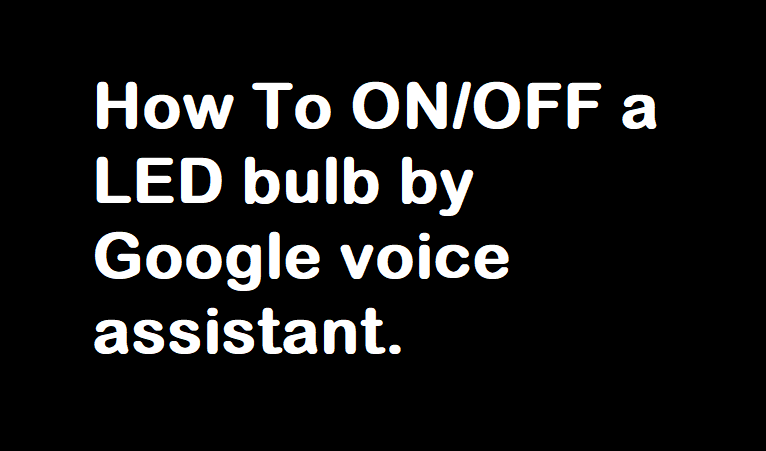 Now You can control LED bulb by Google voice assistant using your smartphone. Pingback:IFTTT Alternatives To Automate Your Online Workflow 2019 | IFTTT ?